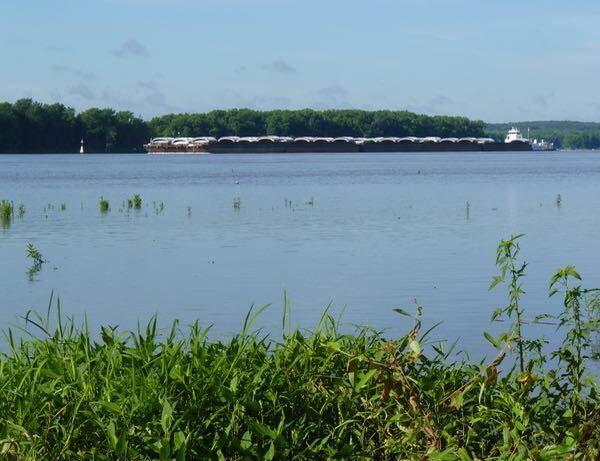 For many miles I drove along the Mississippi River on a scenic road closest to the flow. However, it wasn’t visible through the dense forest and wetlands. Just north of Muscatine, I found a camp right by the great river. It was nice to be in a park with electric again, in order to run the air conditioner, as it was hot and humid. 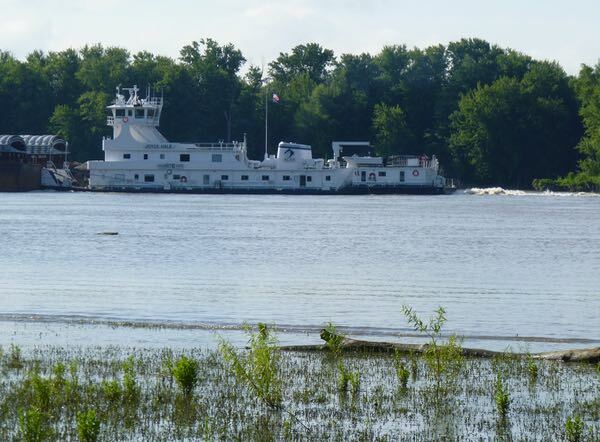 Barge traffic on ‘the big muddy’ floated slowly past the campground. Most campers there were locals escaping the city, and doing some fishing. While I was marking time before visiting a camping friend further north. 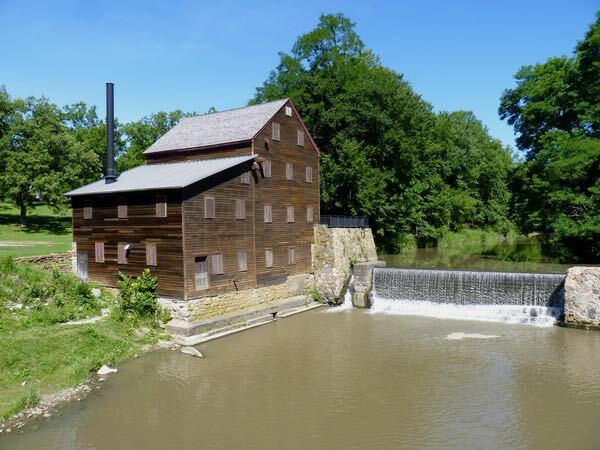 On my way out, I stopped to see the nearby Pine Creek Lumber & Grist Mill. I always loved watching the barges, mostly on the Ohio river but also on the Mississippi. For some reason they are fascinating. It was a short stay; so, I didn’t see many. It was good to see the barges on the big river. Having spent so much time in the dry southwest, I’m finding the humidity hard to bear.